Metro riders got their first look at the system's new rail cars, which will replace some cars that date back to the system's debut in 1976. Maryland Gov. Martin O'Malley, District of Columbia Mayor Vincent Gray and other dignitaries took a ceremonial first ride in the cars on Monday at the Greenbelt station. The 7000-series cars are being built by Kawasaki in Lincoln, Neb. They won't go into service until after several months of testing. Full-scale production of the new cars is scheduled to begin in the second half of this year. 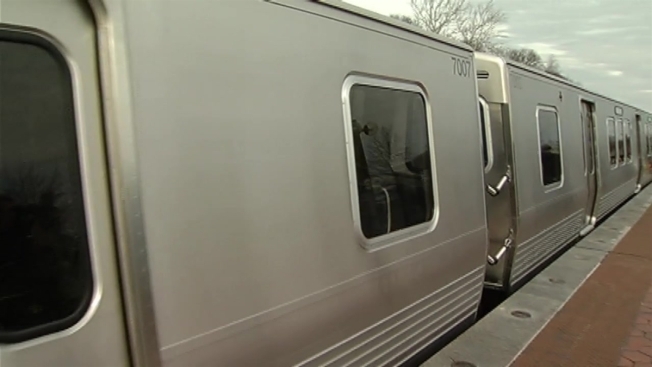 Metro has ordered more than 500 of the new cars, some of which will be used on the new Silver Line in northern Virginia. Metro will be phasing out its 300 oldest cars.